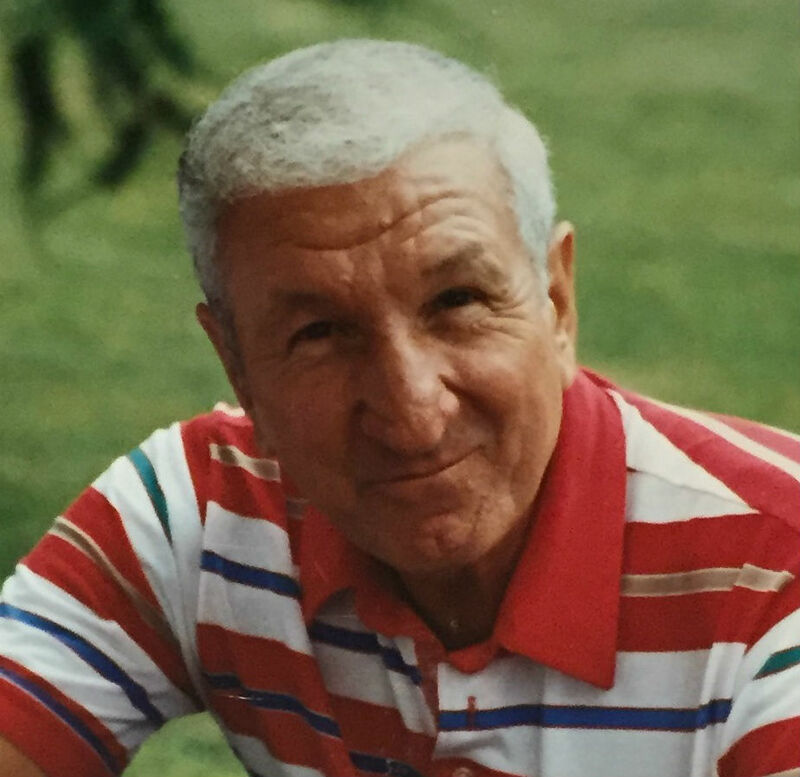 Guido J. Valanzola, 89, of Milford, passed away Saturday, December, 17, 2016 at his home, surrounded by his family. He was the husband of the late Helen A. (Jennings) Valanzola who passed away in March 2016. He is survived by his children Mark Valanzola and his wife Linda of Wales, Paul Valanzola of Milford, Peter Valanzola and his wife Kim of Douglas, John Valanzola of Mendon, seven grandchildren, Michael, Jordan, Joshua, Lindsay, Eileen, Joseph, Gillian and two great grandchildren, Jackson, Jameson, many nieces and nephews. He was born in Jersey City, New Jersey, son of the late Albano and Angelina (Tarara) Valanzola and lived in Boston before moving to Milford in 1944. He was a graduate of Boston Trade School class of 1946, and also a graduate of the University of Massachusetts Amherst. He was a Korean War Army Veteran. Mr. Valanzola retired in 1992 from Verizon where he was employed as a building maintenance tech. He was also employed as a machinist at the former Draper Corp. in Hopedale. He was an avid bowler in the Milford area and enjoyed many winters in Port Orange FL, where he was a member of the Elk’s. He was also a member of the Telephone Pioneers. He was predeceased by his brothers Salvatore Valanzola, Charles Valanzola, Orlando Valanzola and his sister, Josephine Ferrera. His funeral will be held Thursday, December 22, 2016 at 9 A.M. from the Consigli-Ruggerio Funeral Home 46 Water St. Milford, followed by a Mass of Christian burial at 10 A.M. at the St. Mary of the Assumption Church on Winter St, Milford. Burial will follow in the Sacred Heart Cemetery on Medway Rd Milford. Calling hours will be held Wednesday from 5 to 8 P.M. Thinking of you all in loving thoughts and prayers in this sad time. My Dad loved his brother very much as we all did. Now they are reunited and for that I'm happy. With much love. Sorry to all of the Valanzola family for your loss. Cherish the memories! Pete, I'm sorry for your loss. He must have had a great life, and that's all you can ask for in this world. Thinking about you and your family in your time of loss. God speed Guido. Peter Thinking of you during this time of your life. I am sending my thoughts and prayers to your family. Remember he lived a long life and you have great memories. He is with your Mom now and that is what he wanted the most. Pam and the Beach Family. Our Thoughts and Prayers are with Peter and his Family. RIP. Guido, I am Sal Ferrera, from E.Boston. Salvie, was my father, married Josie Valanzola, Iknew Wido from 1955. In 1956 he bought a new Oldsmobile, red, n, off white, 2dr. sedan, every Sat. he would take me to Forrest Hills T stop, and I would take the subway to Eastie. Then return to Milford, on Maple St. on the farm. Wido, was a good man, got to know him the best, very outgoing man. Salvie V. met him when I was 13, or 14. Dominic, n, Joann, are my half brother, and sister, So sorry for your loss, Peter, RIP, WIDO. SAL FERRERA JR. EAST BOSTON, MA. I forgot to mention I worked at Draper Corp. also. And uncle Charlie was a great uncle also. now they are all toSALgether, with the whole family, NANA, and ALBANO. Peter, Sorry for your loss. My deepest sympathies to you and your family.